PayMaya is a prepaid wallet that enables users to pay, and purchase the things they love online -- even without a credit card. In just three minutes upon download, users are given a 16-digit virtual card number which they can use to shop online, pay for Uber, book flights, buy games, concert tickets, and subscriptions, and now, order food to be delivered right to their doorstep. PayMaya is accredited by the Bangko Sentral ng Pilipinas as well as international card security bodies such as the PCI DSS so users are ensured of a safe and secured payment option with PayMaya. “Our group’s mission has always centered on enabling the Filipinos to avail of the anytime, anywhere experience. 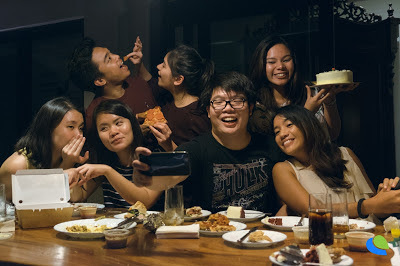 We are delighted to team up with foodpanda and offer exactly this to #NowNation -- a convenient and affordable way to satisfy their cravings, whenever, wherever,” says Sharon Kayanan, Marketing and Brand Head for PayMaya Philippines. “We are one with PayMaya Philippines in their mission to provide consumers a service that is secure, hassle-free, and affordable. With this partnership, we are confident that more Filipinos will be able to enjoy the convenience foodpanda offers to its customers,” remarks Rommel Bulaquina, PR & Partnerships Lead, foodpanda Philippines. foodpanda, #TheFoodieApp, is one of the world’s leading online food ordering and delivery platform that enables restaurants to become visible to mobile app and web users. It is headquartered in Berlin (Germany) and powered by tech giants Delivery Hero and Rocket Internet. The foodpanda app is available in the Apple App Store and Google Play Store. Its interface offer convenience and extensive food options to busy and hungry customers. 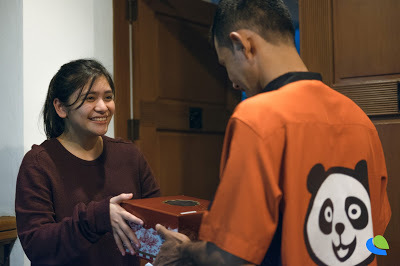 foodpanda entered the Philippine market in 2014 and now partnered with nearly 2000 restaurants to provide unprecedented access to great food options in key cities and urban centers. Visit www.foodpanda.ph or download the app to order!